Main Characters: Hercule Poirot, M.Bouc, Dr.Constantine, Wagon Lit Conductor, Hector MacQueen, the Valet (Edward Henry Masterman), Mrs. Hubbard, Greta Ohlsson (the Swedish Lady), Princess Dragomiroff, Count and Countess Andrenyi, Colonel Arbuthnot, Mr.Hardman, Antonio Foscarelli, Mary Defenham, Schmidt, M.Rachett(Cassetti). Description of one of the characters: M.Rachett, alias Cassetti, is the man who murdered Daisy Armstrong, the child of Mr. and Mrs. Armstrong. He is murdered on the Orient Express. He is a wicked man. He had kidnapped and killed many children before. He escaped from America and went to Europe and became a traveller. He changed his name from Cassetti to Rachett. Whom I like and why: I like Hercule Poirot. He is a Belgian detective. He is so smart and shrewd. He makes right guesses because he has experience. 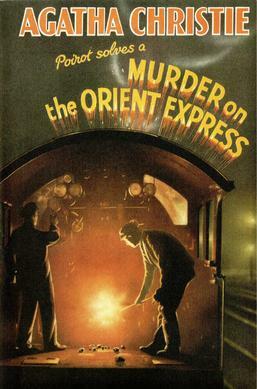 He arrives at two possible solutions for the case of the murder on the Orient Express. Whom I dislike and why: I dislike no one in the story. All of them are very good characters except Cassetti who too left kidnapping and became a traveller. Setting/theme of the story: Hercule Poirot travels in the Orient Express with the other passengers. A man named M.Rachett, a passenger, comes to M.Poirot for help. M.Rachett asks M.Poirot to guard his life and also offers a huge amount but M.Poirot declines the offer. That night Rachett is murdered. M.Poirot takes up the case and starts investigating. He finds evidences, interviews passengers and at last arrives at two solutions. M.Bouc and Dr. Constantine, who act as judges decide to tell the Yugo Slavan police officers, the first solution.